Picture this: you love someone more than you love yourself. But one day, you discover that he or she has an untreatable disease and can no longer stay with you. To make things worse, your lover’s parents do not really approve of your relationship. What will you do? 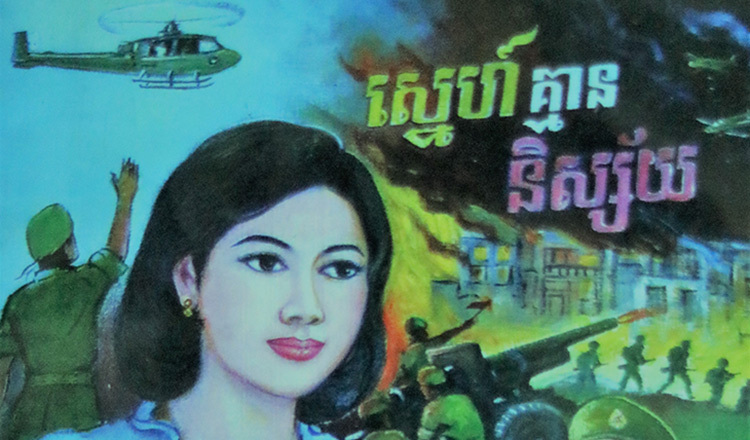 This dilemma is the central theme of the short novel, “Kmean Thngai Chho Sroalanh Bong”, written by Sen Kimneng. Published by Iread Publisher, the book has attracted a lot of young “hopeless romantic” readers. The story opens with how the sweet love between an employee and her employer’s son flourished. Though the male character, Thanuk, is the owner’s son and a graduate of a foreign school, he is still willing to learn from his seniors. However, the love story between Thanuk and their company’s employee, Phealy, did not start in the company. In fact, it began when they were still both in high school. But because of their social status, Phealy never told anyone about her past relationship with Thanuk. To her relief, Thanuk’s parents do not recognise her anymore. But Thanuk’s love for Phealy has never changed. He strives to take Phealy back and fight for their love. He surprises Phealy with a 10-day holiday in Maldives. In the beautiful island, Phealy and Thanuk celebrate their love and create happy memories together. In contrast to the social taboo, the lovers make love even when they haven’t been married yet. Thanuk does everything to make Phealy’s life better. He also financially supports her family. It is not really socially acceptable in Cambodia to have a guy financially helping his girlfriend before marriage, but Thanuk is doing it out of pure love. But just as when everything seems perfect for the couple, Thanuk hides a very serious – and fatal – secret from everyone. He has blood cancer, and he has been given only five years more to live. Phealy is surprised to know Thanuk’s severe condition. Out of fear, she tells Thanuk’s parents that she does not want to become a young widow. She later realised that she’s pregnant with Thanuk’s baby. Because she knows her family is still her priority, she decides to have the child aborted. But she later realises that she can’t dare to abort her child. So she moves away from Thanuk and his family. She starts working in another company and tries to forget Thanuk. But love is love – and she is not too strong to fight against what she’s feeling. She comes back to Thanuk, who by this time is already affected by his sickness. His physical appearance has changed drastically. Phealy promises to give Thanuk all her love and service until his last breath. Seeing the pure love between the two, Thanuk’s parents finally agree to have Phealy in their family. When you read this book, a smile will automatically be painted on your face. The story of real love and the sweet words used by the author will truly capture the heart of every reader. If you want to read Phealy and Thanuk’s story, you can get a copy of the book from the Scholar Library.